Gutter systems are a key component to the water shedding process of your home's roof. 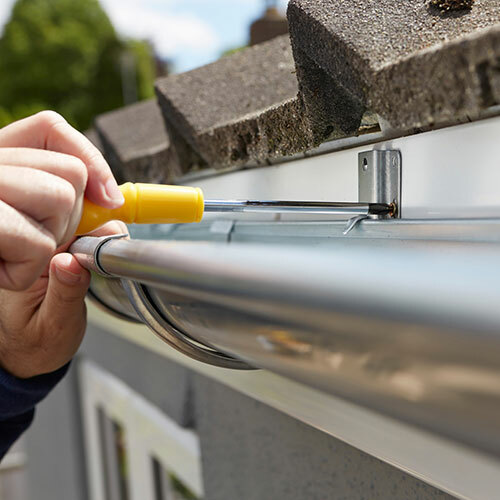 Gutters help to collect and transport unwanted water away from your home to prevent damages to surfaces that include your roof, siding, fascia, foundation, and other critical aspects of your home’s structure. Aluminum seamless gutters are the most common gutters installed on homes because of the onsite fabrication ability and the abundant variety of colors available. Roof area size greatly determines the gutter system that should be installed. Copper is also an attractive choice when thinking about replacing gutter systems.